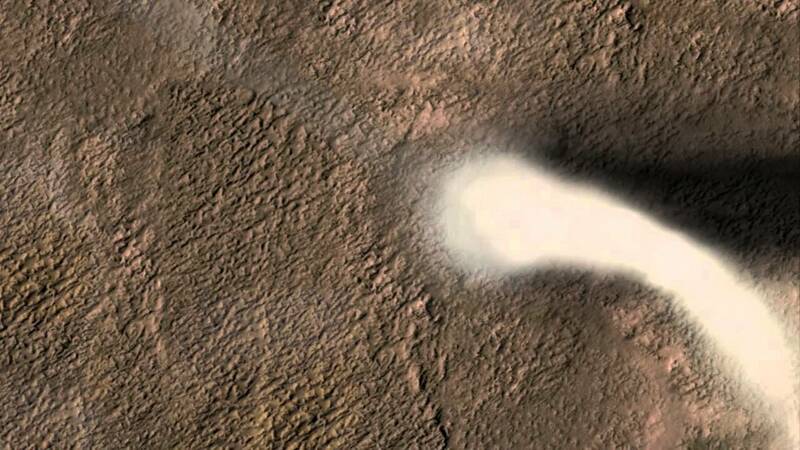 Above: Frost on the Martian desert. While the most recent missions hint at rare flows of briny Martian water, we've known since the Viking landers that ice is common enough on the red planet - here Viking 2 captured the early morning frost settling on the soil. 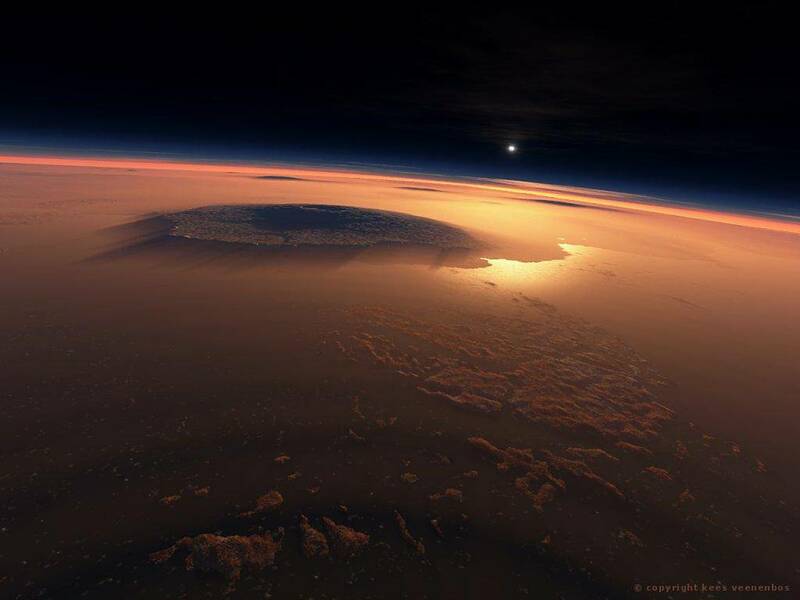 Above: At 27000 meters high Olympus Mons is the biggest volcano, and the biggest mountain, in the solar system. It's so big that the peak sticks out of the atmosphere and into space - and, if you were to stand on it's slopes, you wouldn't be able to tell where the real horizon was and what was merely the curve of the mountain. Above: The Sun sets on Mars. The sunsets on Mars are blue, thanks to the way the dust in the ochre sky scatters light. 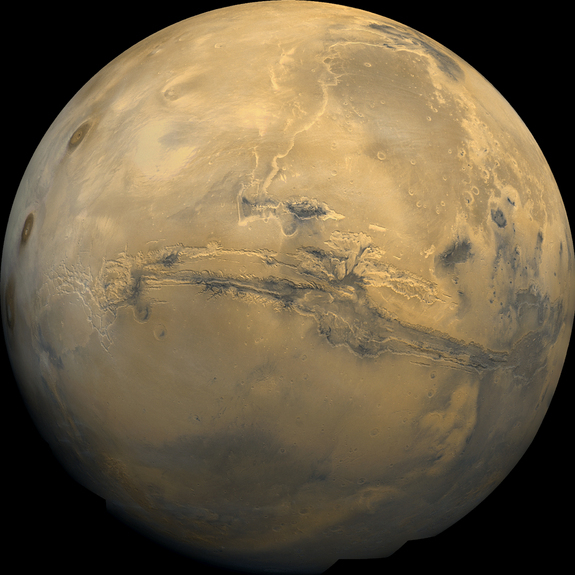 It's beautiful, but beware - in the Martian night temperatures can easily reach a hundred degrees below freezing.